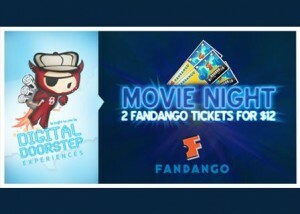 Tippr is offering 2 Movie Tickets on Fandango.com for only $12 ($24 Value). Plus, if this is your first time ordering on Tippr you will get an additional $5 off, making 2 movie tickets only $7. Get this deal now!